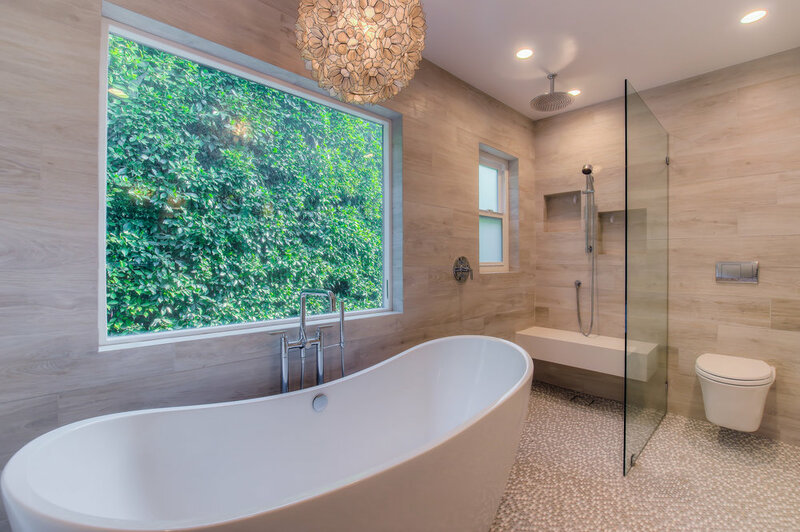 One of our favorite master bathroom design and remodels, created for a house in West Los Angeles. 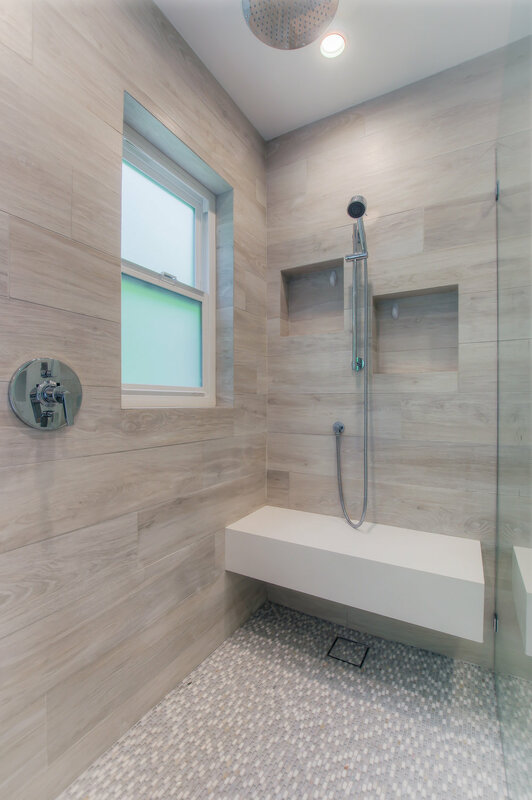 Features include Italian tile throughout the walls and floors of this spacious bathroom make this bathroom feel like a spa delight. 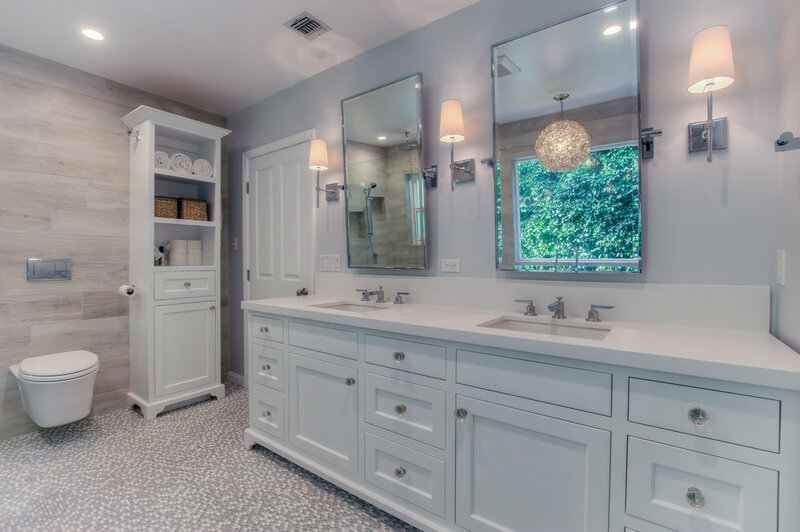 some of the features include a floating toilet, free stand tub, floating shower bench with a custom glass panel door, custom vanity and tower cabinet, custom mirrors and a beautiful chandelier to add a special touch.